Three-piece suits, statement shades and drawstring ankle-ties for AW19. Since they established Sunnei in 2015, Loris Messina and Simone Rizzo have provided an innovative new uniform for Milan’s cool kids. 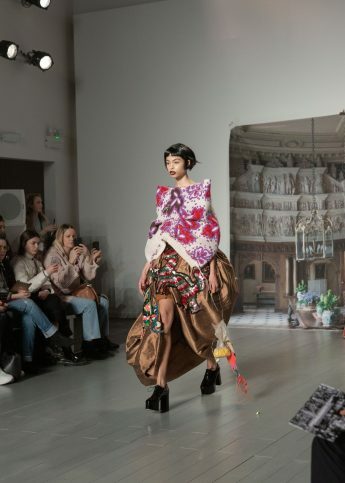 Though Sunnei collections are made exclusively in Italy and reference traditional Italian tailoring and motifs, they’re inspired by their own life experiences and friends as much as the art, architecture and youth culture of their city. 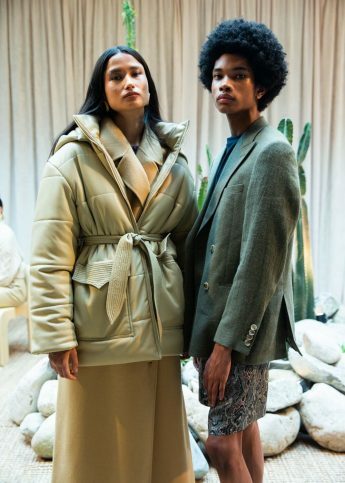 AW19 featured a range of baggy silhouettes – from three-piece suits and oversized jackets to draw-string trousers, featuring prints and pinstripe in shades of beige, green, pale yellow and cobalt blue. 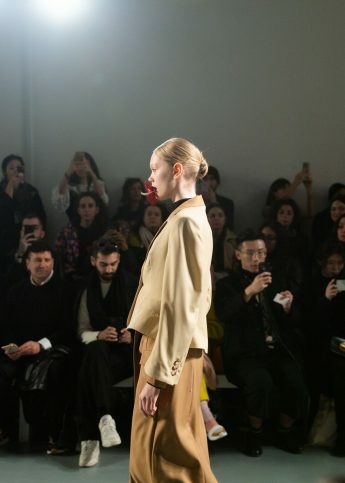 Women’s looks were integrated in the show, with a focus on big collars and clinched waists. And we need to talk about the accessories: PU bags, Sunnei statement shades and now iconic clumpy shoes. We. Are. Obsessed. C2H4 brings retro-futurism, utility and touches of glitter to LFWM for AW19. 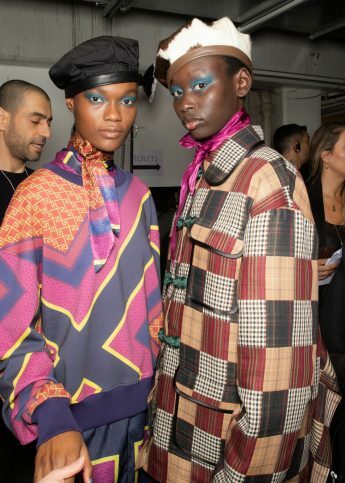 Craig Green's futuristic nomadic men took centre stage at LFWM in quality street plastics and plaid kaftans. MSGM present a futuristic, Formula 1 inspired collection at LFWM. Marta Jakubowski serves asymmetric cuts and quilted puffers for AW19.